I bought this EP on a toasty Saturday evening in July after an unexpected visit to my local pub where the band Halfway To New York happened to be playing. The group from London write and sing pop/rock music and feeling my foot tap as I stood and listened to their songs played live encouraged me to purchase 'Treading Water'. 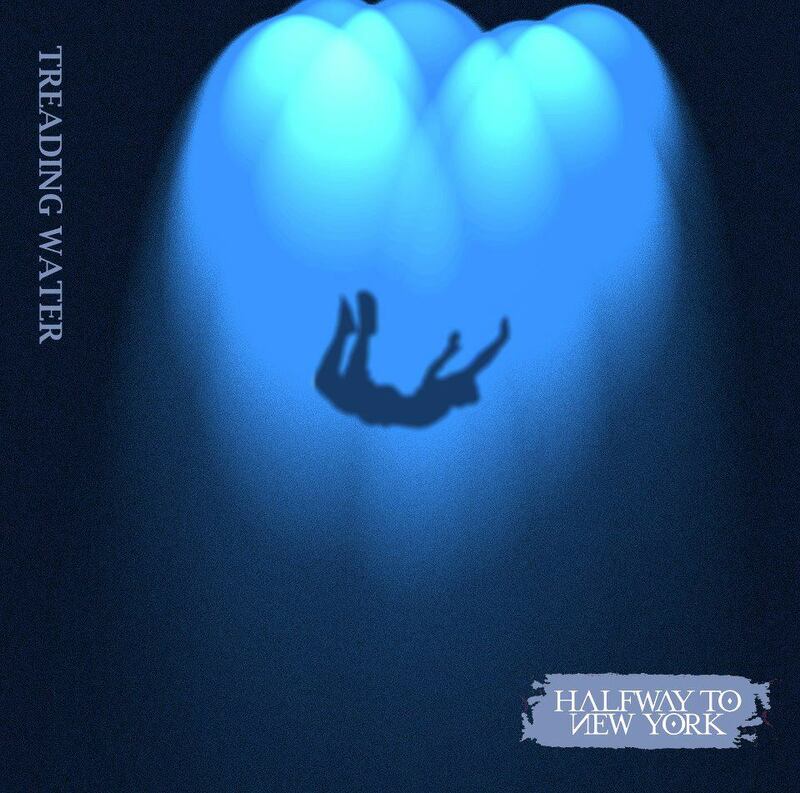 Treading Water - The title track of the EP was my favourite song the guys performed. The bridge with the lyrics 'Who's the boss of me, who's the boss of you?' is a simple way to get the crowd singing along, especially after a few beers. I love the concept of the metaphor 'treading water' as I interpret it to mean that he is working hard to keep his relationship afloat and trying to not let it all fall apart, however the couple are staying in the same place and not moving forward and the song is debating whether that's right or not. The chorus is easily loveable and is a great introduction to the rest of the music on the EP. What A Way To Go - Halfway To New York are story tellers in their music and especially in this track. I really like the bass line and the lead singer, Sam Burkey, has a mature voice that reminds me of Brandon Flowers from The Killers. The first verse is really attention grabbing and I think it's one of few songs where the verse is catchier than the chorus. Out Of Time - This is my favourite song on the album because it has a brilliant chorus that after one listen I can sing along to. Since purchasing the EP this has been a track I listen play very frequently. The dramatic bridge that builds up to an awesome instrumental is so good live and the soft ending is a fantastic contrasting way to end the song. We Were Wrong - After three songs it was clear to me that this EP was a great find and the guys of Halfway To New York are fantastic writers. I would say this track is the rockiest due to the heavy electric guitar playing and long notes held in the chorus. If you get a chance to see the band in concert, I am sure you would agree that this song is better live. Going Home - An obvious final song to play, this mid-tempo song is a kiss goodbye to a wonderful night of music. 'Going Home' was obviously written to please crowds and that it does, with an easy to sway to song and verses that show of Sam's vocals. I think is the best song on the EP in terms of production. Comment if you check this EP out (its only five pounds!) or happen to run into these guys doing a show like I did and let me know what you think.